The Hampton Inn Knoxville-Airport hotel is located in the city of Alcoa Tennessee 10 miles south of Knoxville and a half mile from the McGhee Tyson Airport with a scenic view of the Great Smoky Mountains. Attractions near this Knoxville Hampton Inn include 5 golf courses the University of Tennessee Maryville College and the Knoxville Zoo. Guests can dine at a variety of restaurants like El-Sazon Mexican Restaurant Ming Tree Applebee*s McDonald*s Wendy*s Bojangles Taco Bell Pizza Hut Sonic and Subway all within a half-mile radius of the Hampton Inn hotel. The Hampton Inn Knoxville Airport hotel includes a free hot breakfast complimentary airport shuttle and high-speed internet access. 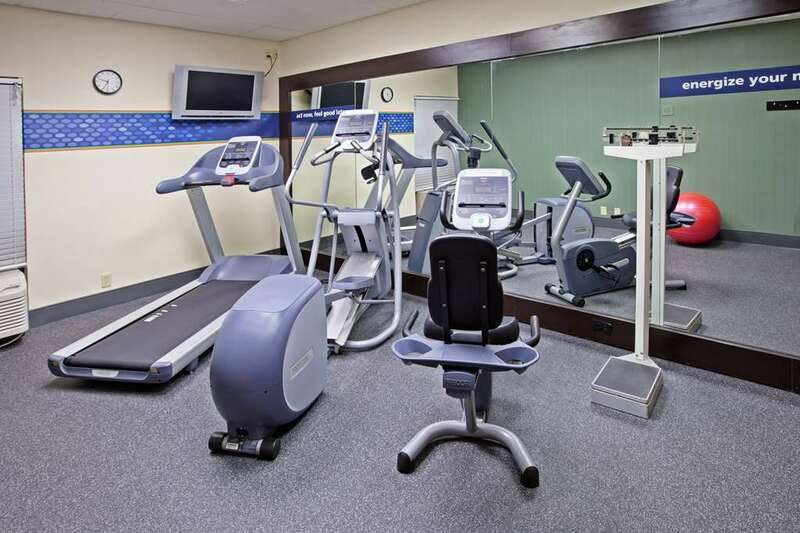 This Alcoa Tennessee hotel also offers connecting rooms cribs a fitness center irons and ironing boards and an outdoor pool. The Hampton Inn Knoxville Airport hotel has two meeting rooms that can accommodate up to 30 people theater style with catering available. Laundry/valet services meeting/banquet facilities and audio visual equipment are available at the hotel for a nominal fee. We love having you here at the Hampton Inn Knoxville Airport hotel in Alcoa Tennessee.